Those of us who live in the so-called "advanced" modern world have been educated to use our minds and encouraged to satisfy our physical needs. But in so doing, we have become isolated from the very essence of our existence as individuals our own spirit. In Shamanic Spirit Kenneth Meadows introduces Shamanics, his spiritual science of living, which recognizes the primacy of the spirit and acknowledges that spirit is inherent in all living beings and life forms. Shamanics is a practical way of becoming aware of our multi-dimensional reality and using that awareness to cultivate and refine the spirit within. Using the symbolic structure of the Medicine Wheel which helps us establish a sense of direction, extend perception, and examine relationships Meadows presents 33 hands-on experiential exercises that help readers discover the truth about themselves. 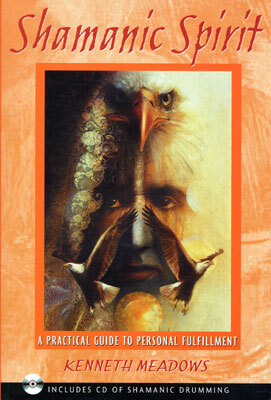 His approach also draws upon and integrates universal shamanic concepts from such regions as the Americas, Europe, the Middle East, India, China, and Polynesia to show readers how to release their dormant potentials, generate creativity, and meet the challenges of their lives with confidence and self-assurance.